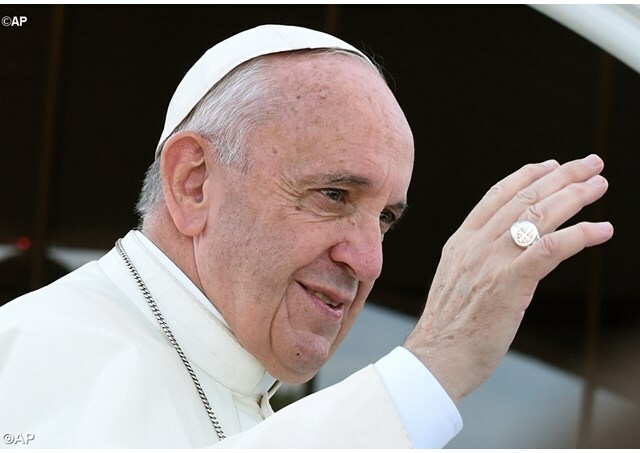 Catholic News World : Pope Francis Releases Video Message Against “organized crime and the illegal trafficking of human beings..."
Pope Francis Releases Video Message Against “organized crime and the illegal trafficking of human beings..."
Buenos Aires, Argentina. The event is being hosted by the Orthodox Archdiocese of Buenos Aires, and co-sponsored by the Patriarch Athenagoras Institute in Berkely, California. The forum brings together experts from many different walks of life, such as scholars, policymakers, peacekeepers and theologians, in order to address the issue of modern day slavery and propose solutions to the problem. The forum is a continuation of the work begun by the Ecumenical Patriarch, Bartholomew, who is the leader of the Orthodox Churches, and the Archbishop of Canterbury, Justin Welby. The two church leaders convoked a similar conference in Istanbul, Turkey, in 2017.